When you need sound advice for your legal issues, turn to the professionals at Hage Hodes. Overview Hage Hodes is a full service law firm serving businesses, individuals, and institutions in New Hampshire and Massachusetts. Located in Manchester, New Hampshire and less than an hour from Boston, the firm's founders have provided legal services for more than 30 years. With extensive experience in both business matters and litigation, Hage Hodes is equally adept in the boardroom and the courtroom. Philosophy Our philosophy is based on total dedication to our clients' needs by providing superior and comprehensive services efficiently and promptly. We provide creative solutions to difficult problems and we fight for our clients whenever necessary. Core Disciplines Our core disciplines are Business Law, Litigation, Estate Planning, Real Estate, and Municipal Law. Within these general areas are various practices including mergers and acquisitions, intellectual property, commercial and residential real estate & zoning, general business and civil litigation, general negligence and personal injury, debtor and creditor relations, business formation and counseling, contract negotiations and licensing, wills, trusts and estates, labor and employment, family business planning and private client matters. Affiliations Hage Hodes has relationships with other regional, national and international law firms to assist our clients with specialized services beyond the borders of New Hampshire and Massachusetts. As a small dynamic firm with strong business and ethical values, we believe we can meet our clients' complex and ever changing needs on a local, regional, national, and international level. We appreciate your interest. Please do not hesitate to browse our website or contact us for more in-depth information. Attorney Hodes has been practicing law for over thirty years. Attorney Hodes has had extensive civil trial experience in all Courts in the State of New Hampshire, covering a wide range of civil areas. Today, Attorney Hodes' practice focuses primarily on advising corporate, municipal and individual clients in the areas of corporate law, limited liability company formations, business planning, estate planning, trust formation and probate matters. Attorney Hodes also regularly advises clients with regard to affairs involving state administrative agencies. Attorney Hodes has a Masters in tax law, receiving an LLM from the Boston University. In addition, for twelve (12) years, Mr. Hodes was an adjunct faculty member at the Franklin Pierce Law Center in Concord, New Hampshire. His courses of instruction included Real Estate Finance and Transactions, Introduction to Federal Income Taxation, and Bankruptcy Law. Mr. Hodes is admitted to practice in the New Hampshire Supreme Court, New Hampshire Superior Court System, New Hampshire Probate Court System, the United States District Court for New Hampshire and the United States Court of Appeals for the 1st District. Attorney Hodes is a member of the American Association of Retired Persons Legal Services Network. Attorney Hodes is a frequent lecturer with regard to estate planning, financial planning and topics involving probate and probate avoidance. Jamie N. Hage has over thirty- five years of business and civil litigation experience. 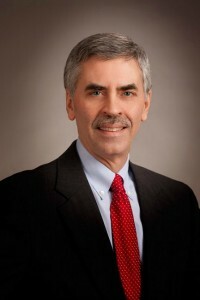 He has litigated cases in both federal and state courts, with a focus on complex business and commercial disputes, intellectual property matters, and personal injury, professional negligence and employment law. Mr. Hage also serves as general outside counsel for many of his corporate clients. He represents small, mid-size, and publicly traded companies as well as individual and other private clients in a broad range of areas including contracts, corporate/shareholder disputes, intellectual property matters, trade secret misappropriation and unfair competition, labor and employment, personal injury and general negligence, insurance, banking, and real estate matters. Mr. Hage has also counseled companies on intellectual property evaluation, protection, licensing, contract negotiations, and franchise compliance and enforcement. Mr. Hage is a distinguished member of the legal community who is well recognized by his colleagues. In 2007, based on a survey of Mr. Hage's peers, Boston Magazine recognized Mr. Hage as a "New England Super Lawyer" in Business Litigation and has been recognized as a New England Super Lawyer each year since. He has also been recognized in Chambers USA: America's Leading Lawyers for Business for his achievements in the area of Business Litigation. 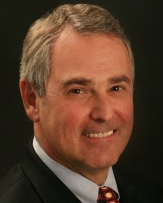 Most recently, Mr. Hage was selected as "Lawyer of the Year" in Intellectual Property (2013) by New Hampshire Magazine, and his peers have selected him for inclusion in the 20th Edition of "The Best Lawyers in America" (2013) in the following practice areas: Commercial Litigation, Corporate Law, Litigation, Intellectual Property Litigation, and Patent Litigation. -Puritan Furniture Corp. v Comarc 519 F.Supp. 56 (1981 DNH) Trademark Infringement. Mr. Hage is admitted to practice in all federal and state courts in New Hampshire and Massachusetts, and is admitted to the United States Supreme Court and the United States Courts of Appeals for the Federal Circuit and the First Circuit. He has also appeared on motion before many courts throughout the United States from New York to California. -Lecturer on intellectual property and licensing for the Executive Licensing Society. -Presenter at the World Trade Expo on copyright, trademark, and patent protection and licensing. -Presenter at Labor and Employment Seminar on arbitration and alternative dispute resolution in employment matters. -Lecturer at financial institution round table on compensatory claims and liability. -Legal commentator on television and radio. -Member of the Central Registry of Intellectual Property Task Force, and contributor to the publication on the Uniform System for the Registration and Protection of Security Interest in Intellectual Property. -Continuing legal educational lecturer on non-competition agreements, business litigation, depositions, trial strategy, and e-discovery. Representing individuals and estates victimized by negligence, injurious automobile accidents, pedestrian accidents, slip and fall accidents, work related accidents, intentional sexual abuse, assaults, skiing accidents, negligent premises maintenance and supervision, negligent highway design and maintenance actions, and other torts. Defending, and advising individuals, businesses, non-profit organizations, municipalities, schools, and estates in relating to tort and statutory claims and actions involving motor vehicle, aircraft, and propane gas explosion accidents, carbon monoxide poisoning, food poisoning, premises liability, product liability, asbestos and environmental contamination and exposure, and work related accidents. Representing insureds and insurers in insurance coverage litigation construing automobile, homeowners, commercial and general liability, health insurance, long term care and credit life insurance policies. Representing individuals and businesses before regulatory, professional licensing and disciplinary boards. Representing individuals and businesses in employment and commercial litigation, including Uniform Trade Secret Act, Consumer Protection Act, and wage claim litigation. Representing the criminally accused and their impacted associates in state and federal courts on felony and misdemeanor charges, investigations, and federal forfeiture actions, including complex fraud, theft, federal tax evasion, conspiracy, money laundering, and drug distribution matters, DWI / DUI charges, and representing those subpoenaed before grand juries. Briefing and arguing appeals to the New Hampshire Supreme Court and the U.S. Courts of Appeals. Mr. Miller is admitted to practice in all federal and state courts in New Hampshire. He is also admitted in the federal First Circuit (Boston) and Seventh Circuit (Chicago) Courts of Appeals and the Northern District of Illinois. He has also been admitted to the state courts of Indiana and Illinois where he is currently on inactive status. Daniel D. Crean has practiced municipal law for over thirty years and is executive director of the N.H. Municipal Lawyers Association. 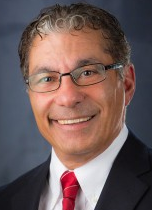 He has been multi-term chair and vice-chair of the Municipal and Governmental Law Section of the NH Bar Association, and is a member of the State and Local Government Section of the American Bar Association. For the International Municipal Lawyers Association, he is N.H. State Chair, Personnel Section chair, an IMLA Fellow, received the 2012 Thornton Faculty Award, and often writes for its Municipal Lawyer magazine. He has taught at the University of New Hampshire Law and Graduate Schools. Dan wrote Responding to Changes in Building and Zoning Codes, in Municipal Building and Zoning Code Enforcement Best Practices, and contributed two chapters to Town and Gown: Legal Strategies for Effective Collaboration. Dan is an approved sponsor of Continuing Legal Education in New Hampshire and has presented numerous municipal law CLE programs as well as countless seminars for local government officials and administrators. While employed at the NH Public Risk Management Exchange, he founded Awareness In Action: The Journal of New Hampshire Risk Management. 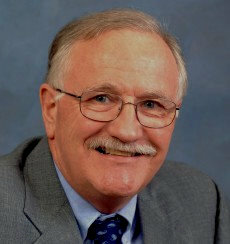 He has served as a selectmen and planning board member, and chair of the Central New Hampshire Regional Planning Commission, as well as on many other local boards and committees. Currently, he is a trustee of trust funds, budget committee member, and chair of the energy committee for the Town of Pembroke where he resides with his wife, Dianne. He graduated from Yale University and the University of Wisconsin Law School. Mr. Crean is admitted to practice in United State District Court for the District of New Hampshire. 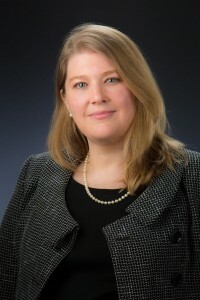 Ms. Thompson focuses her practice on all aspects of corporate, copyright and trademark law including licensing, IP due diligence in transactions, corporate law, unfair competition, domain name disputes, trade secrets, intellectual property enforcement and policing, anti-counterfeiting, contract negotiation, social media, and brand management. She has advised clients on Internet-related issues including domain name disputes, cyber-squatting, keyword advertising, anti-counterfeiting, privacy issues, COPPA-compliance, drafting website privacy policies, terms and conditions, and social media. Ms. Thompson also has considerable experience in drafting and negotiating various transactional agreements including confidentiality agreements, settlement agreements, consulting agreements, employment agreements, distribution agreements, and software agreements. Ms. Thompson assists small start-up businesses and private companies in developing cost-effective brand strategies, and counsels clients on strategic brand management and protection. She also works with artists and entrepreneurs seeking protection for their creative works, and assists clients in securing protection for copyright-eligible works. Prior to moving to private practice, Ms. Thompson's extensive experience included working in-house at several Fortune 500 companies where she prosecuted and enforced major consumer brands and famous marks such as Scholastic, Clifford the Big Red Dog, Harry Potter, Mattel, Barbie, Matchbox, 3M, Post-it and Scotch. Ms. Thompson works with businesses and entrepreneurs in developing and protecting their brands including counseling clients on trademark selection, clearance, registration, and enforcement against third-party infringers. Kathleen is a litigation associate with the firm. She concentrates her practice in the areas of business disputes, personal injury, professional malpractice, employment litigation and domestic relations. 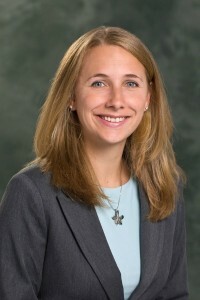 Kathleen joined the firm in 2011. She was admitted to practice in 2009 and was formerly a litigation associate at Nelson, Kinder, Mosseau and Saturley. Kathleen worked throughout law school for a private law firm in Maine. Prior to attending law school Kathleen was a juvenile corrections officer and community worker. New Hampshire all state and federal courts. Massachusetts all state and federal courts. Mr. Lonano is a litigation associate with the firm. He concentrates his practice in the areas of civil litigation, personal injury, business litigation, premises liability, products liability and medical and professional malpractice. 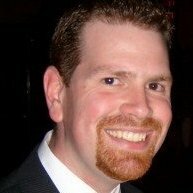 James joined the firm in 2014. Prior to joining Hage Hodes, he was a litigation and trial attorney with Liberty Mutual Insurance Company. He has successfully tried jury trials to verdict and his past trial experience also includes his work as an Assistant District Attorney with the Columbia County, New York D.A. 's office. He is admitted to practice in both New York and New Hampshire.